The bumpy and exciting ride uses a very creative, humorous storyline. The non-stop entertainment culminates with a ride through the middle of a gator infested pond, of course. Since the park first opened their doors in 1949, Gatorland has remained a family-owned and operated business, and that family culture permeates everything. 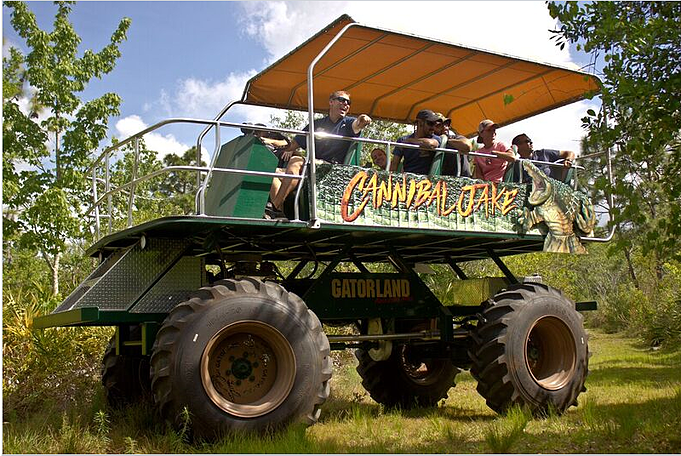 The company’s longevity comes from a family philosophy of adding new attractions and additions, such as the $2.2 million Stompin’ Gator Off-Road Adventure, only when they have enough cash to pay for it. With a simple mission of providing guests with fun, smiles, and special memories each and every day, Gatorland is a “must see” theme park in Orlando! For more information: https://www.gatorland.com. We celebrate our client Gatorland!